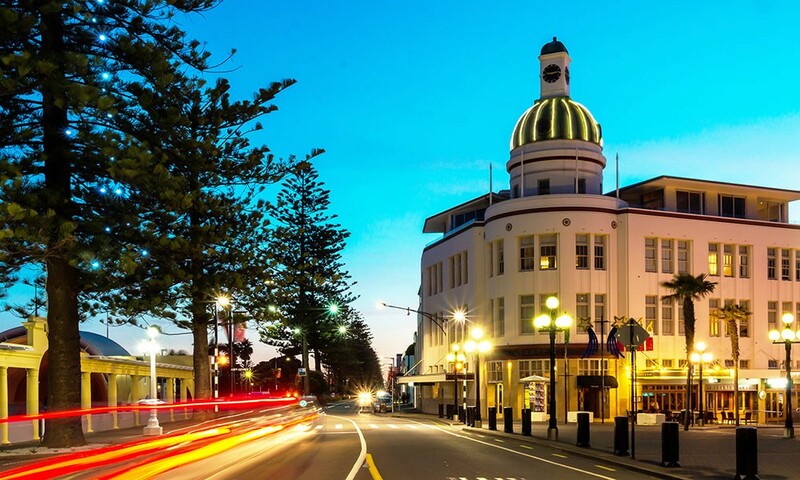 The Property Investor Centre - NZ Property Investment Mentoring The Property Investor Centre is the online resource centre for property and real estate investors in NZ. Read the latest news articles on investing in residential rental property, get property investment views, tips and advice via our blog. Learn how to invest via our online property mentoring program 'e-Coaching' and register free for our hot property deals. You are here: Home › Blog › Are you Confused with the Property Market? 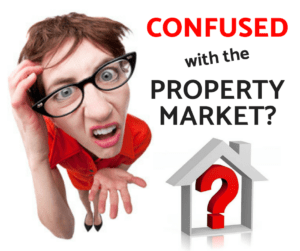 Are you Confused with the Property Market? Well, I can certainly understand it if you are, with the myriad of contradicting stories being reported in the media, it’s really no surprise that many don’t know what to think. Are property values still increasing? 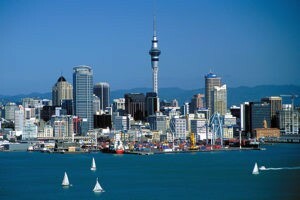 Are we at the peak of the property market? Are property values likely to drop? Is it a good time to buy property? Is it a good time to sell property? How will Govt policy changes affect the property market? What are interest rates going to do? Are we too late, have we missed the property ‘boat’? These are just a few of the common questions that people are pondering and currently asking us. 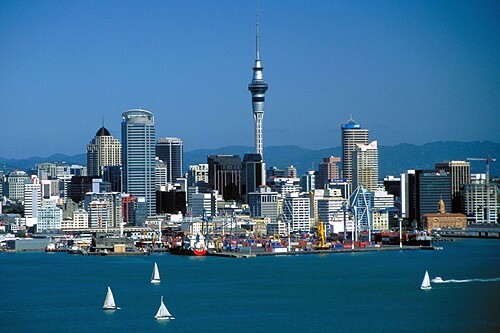 Well as we see it there are currently 3 markets within New Zealand right now, there’s Auckland, Christchurch and then the rest of the country. 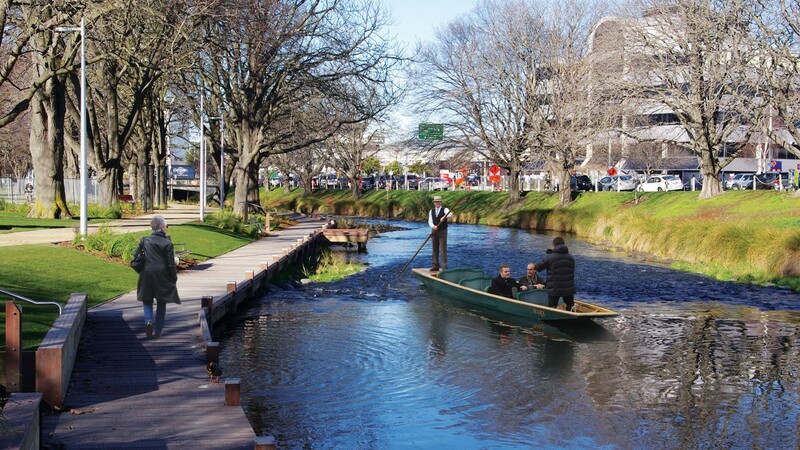 Christchurch has been quite soft for a little while now, after the heightened demand from the post-quake rebuild has well and truly tapered off, there now seems to be an oversupply of housing compared to demand, particularly rental accommodation. The Christchurch rental market seems to be very soft indeed. Then we have the regions and smaller centre’s around the Country that have been experiencing quite high levels of demand of late and therefore strong growth in property values and rental levels. We had also grouped the greater Wellington area into this section of the market too, but Wellington is now beginning to flatten off as well. While other smaller areas are still seeing good demand and sales activity continue. Whilst many of you (depending on the markets you are working in) may still think the market is pretty hot, we have been seeing the subtle signs for a few months now that the market is slowly cooling off. The average number of days a property is on the market before selling is increasing, agents are starting to phone us again now far more than they have over the last few years – That’s tells us that buyer enquiry is dropping and they are finding it harder to sell their listings. 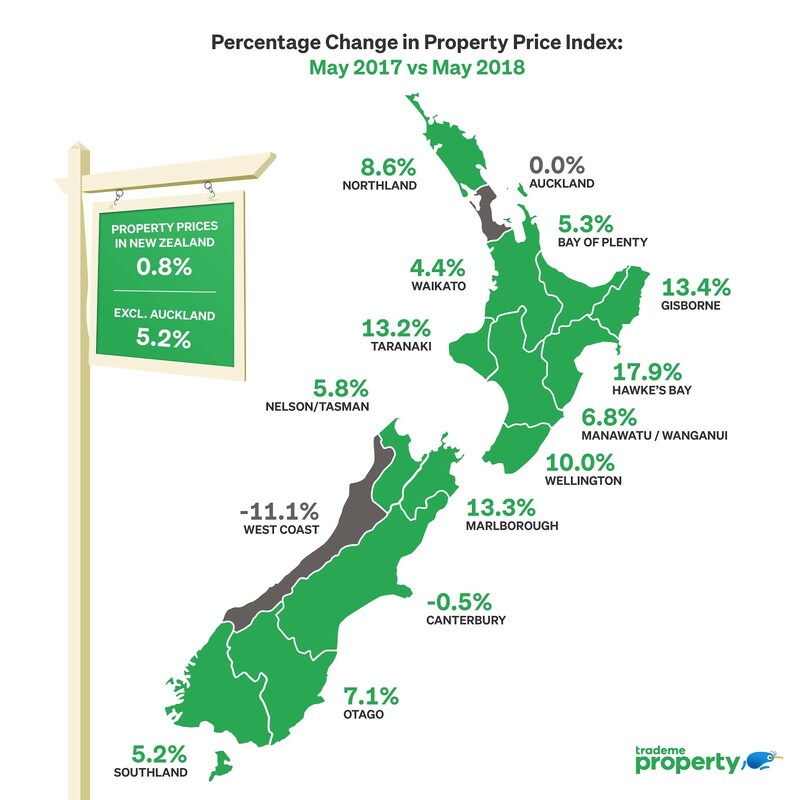 So yes in general nearly all areas of NZ have seen good to strong increases in property values over the last few years, several areas have now flattened off, with the remaining areas expected to continue to follow suit. Through normal market forces, with buyer pressure subduing, price increases will likely flatten out, and in some cases average sale prices will decline. It’s quite likely that property values nationwide will flat-line for the next few years, before having an upward turn once again, as the property market always tends to do time and time again as it goes through its normal growth/slump cycles. Ok so what does this mean for us property investors moving forward? For the average uneducated or unsophisticated investor, this situation would seem quite dire. 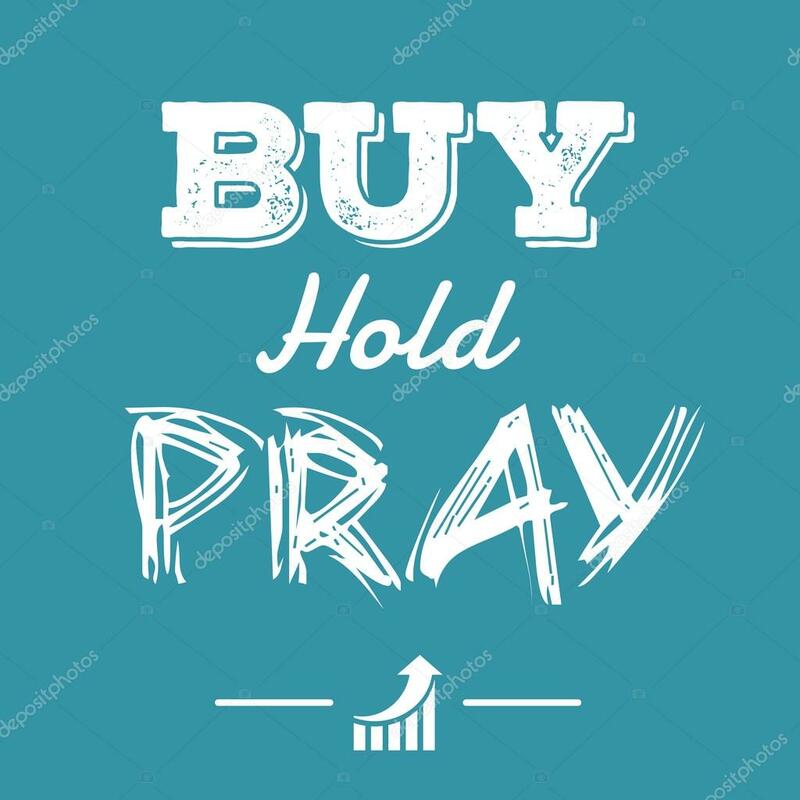 As the only ‘strategy’ they often know is to buy a property (on a very low yield) and ‘hope’ for some capital gain, this very speculative strategy (if you can call it a strategy) of course works just fine in a rising market and these people can end up doing alright……. However, they obviously need a boom or at least a rising property market for their ‘strategy’ to work. In times of flat markets with no growth in property values, or worse still declining property values, these unsophisticated investors without any other ‘tricks up their sleeves’ are pretty much out of the game, they slowly disappear back into the woodwork not to be seen again until the stories of property values rising hit the headlines once more in a few years time. The situation however could not be more different for the more educated investors that have a far better understanding of the property market and a sound knowledge of various other strategies that they can employ. In fact for the way that we prefer to invest, a flat or slump market is much more suitable. We do most of our buying when the majority of others are not! We find it far easier to put together really good deals and buy well without the frenzied buying pressure from all the uneducated investors that pay way too much. Because we have the ability to create our own capital gain, by buying well below what a property is really worth, and by creating or increasing the property’s value by the type of strategies we employ – we are not reliant on capital gain from normal market movements or booms. In hot property markets, even if there is a vendor that may be more motivated to sell than most, they will likely still get a very good price for their property, due to the vast number of uneducated buyers in the market getting carried away with the hype and frenzy of the ‘boom’ and entering into a competitive situation where someone ends up paying too much, as I’m sure all of you have seen at some point, particularly with tenders and auctions. In a stark contrast to this, once the property market turns the corner and enters the flat or slump faze, and there are bad news stories in the media everywhere, all the uneducated or speculative type investors exit the scene. At that point there is very little to no buyer competition. There generally becomes many more motivated vendors, as if they really need to sell and there is very little buyer interest they end up getting conditioned by the market/agent and their price expectations begin to drop. In these situations the first offer that a vendor receives is often the best they will get. I’ve seen this many times over the years, where we have made a low but fair offer to buy a property that got rejected by the vendor. In the end often several months later after the vendor hadn’t received any higher offers and become more conditioned and obviously more motivated the vendor ended up accepting a far lower offer than our initial one (it always pays to follow properties up if they are still on the market). 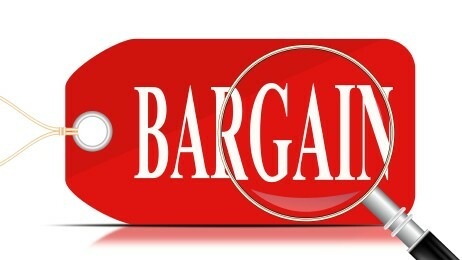 It’s in these conditions that we start to have the ability to pick up some very good deals. Buying properties at price levels where the fundamentals stack up and the rental return once again looks attractive, not at heightened price levels pushed up by uneducated buyers and speculators that foolishly can see no end to the rising values. 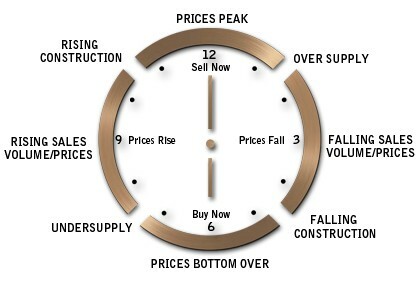 We use the flat or slump stages of the market to buy good properties at reasonable prices, often well below their true value and therefore creating an equity gain and locking in a safety margin in case of short-term corrections in value. In many cases these properties we are buying are also under-rented due to the previous owner not keeping in touch with rising rents over the boom stage of the market. So not only do we get the benefit of higher yields and cash-flow from increasing the rental incomes, but the increased rent can also have a big effect on the capital value of the property too (with income producing property having its value determined by capitalising the annual rental income, much the same as commercial property or businesses). So we use this slump stage to buy good property assets and create our own capital gain irrespective of market forces. Because we are buying at lower prices it’s easier to put together deals that generate a cash-flow surplus, enabling us to sustainably hold these assets for the cash-flow (passive income) they throw off and further capital gain over time through the next upward cycle of property values. So as you can see, the thought of a slowing property market is quite exciting for us, as we know from our experience in past property cycles this is the time that we have secured and put together the majority of our great deals. Right now is the perfect time to be building your knowledge, getting yourself educated and gaining a sound understanding of the property market and the strategies we use to maximize the opportunities that will be presenting soon enough as the market continues to change. NZ Property Market – Whats happening in 2018? WE DID IT AGAIN!! Capital Gains Tax…We made the call and got it RIGHT! Capital Gains Tax & Ring Fencing Losses, and more! …What does all this mean for Property Investors? How will the new Government’s proposed property policies impact you? Thinking about Property Investment mentoring, coaching or courses, what exactly is e-Coaching?